I was excited to see what this book was all about. 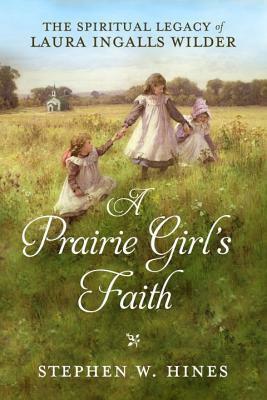 I love anything Little House and have read most any book I can find about the Ingalls/Wilder family. I'll be honest in saying this book wasn't a great as I was expecting. It seemed very choppy and random in many chapters and I wasn't totally certain what the overall point of the book was. You do learn the family history in where they attended church but the reality is that we really don't know where everyone was in their faith. We can only know by their actions and what they wrote. Also, the Little House books were by no means completely accurate of their life. Many things that actually happened are completely different in the books. BUT I do think the main thing is that the books teach good morals and for children these books can show them a good example. Thanks for the notice and I do not necessarily disagree with you about weaknesses there are in the book. I both wanted to establish that Laura was indeed a Christian--something I think I should have just assumed I think now--and then what sort of Christian she was: a condemning or and affirming Christian. Of course, I affirm her as a good example for us all. In the Middle of the Mess: A Must Read! Alpha Omega Kutless CD Review and Giveaway!